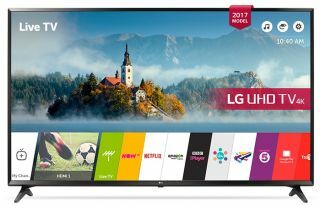 Currently priced at around £400, the LG 49UJ630V offers a myriad of features at a competitive price point considering it's launch price of £730. At 49 inches it supports both 4K and HDR, as well as LG's proprietary webOS - An easy to use software that can support all your favourite streaming apps. For connectivity, you get a myriad of choices with support for WiDi, Miracast, DLNA, HDMI and USB. Audio is also covered with LG's multi channel ULTRA Surround technology, a nice bonus at this price point.